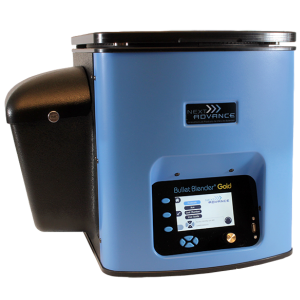 The Bullet Blender Gold now comes with a digital display user control screen, featuring an updatable library of protocols with color photographs and a user guide with instructions for preparing samples. Next Advance RINO tubes are now clear! Our goal was to provide a tube which allows better visualization of the homogenate – the plastic is now clearer. We are not planning any further modifications. As always, your success remains our main focus and so the tubes perform exactly as they have in the past. You will not need to modify your protocols in any way. We love hearing from our customers so if you have any questions, comments or feedback, please reach out. Next Advance had grown too large for its location in Averill Park, NY and has now moved just down the road to the home of Uncle Sam. Our new address is 2113 NY-7 Troy, NY 12180. We are excited to introduce to you a new way to evaluate the accuracy of pipettes: the Pipette Checkit®. Low-cost, fast, and easy to use, the Checkit can save money on calibration services while giving you the confidence that your pipettes are delivering accurate volumes. Get instant, easy verification anywhere. No more precautionary calibrations — no more messing with scales! Our crew is hard at work developing new products and features. This past year the U.S. patent office awarded us 4 patents. Don’t worry, we’re still working hard and have several more patent applications in process. Our website is now much faster. Check it out. Or come back again. We’re continuously working to improve our website functionality and content. We will be assisting our distributors exhibiting at AACR 2016, April 16 – 20 in New Orleans, Louisiana, USA and at Analytica, May 10 – 13 in Munich (München), Germany. Come and see our latest products and meet them and our staff. The Bullet Blender was in a recent episode of CSI:Cyber. How did they ever solve cases without it? Next Advance will have a virtual booth at the BioConference Live Cancer show on September 30th and October 1st, 2015. Stop in to chat with Andrea or Eric. While you are there, earn CE credits by attending the informative webinars hosted by some of the industry leaders! Next Advance will have a virtual booth at the BioConference Live Microbiology show on September 2nd and 3rd, 2015. Stop in to chat with Andrea or Eric. While you are there, earn CE credits by attending the informative webinars hosted by some of the industry leaders!